Copyright is a vital consideration in regards to sharing and recognizing created material. The Library supports the Copyright Policy of The University of North Carolina at Chapel Hill as a guide for faculty, students, and staff in their pursuit of scholarly work. For questions about copyright, feel free to request a consultation with the Scholarly Communications Office. 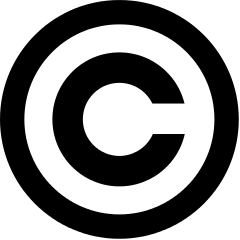 Below is an overview of copyright to get you started. When deciding to use content in your scholarly research work, there are many aspects of copyright (a.k.a. rules before copying into your new work) that are worth understanding. Since you don’t own others’ content (and you may not even own your own previously published work! ), you often must ask for permission to use it in your work. These brief guides will aim to explain when and how to ask for permission to use content; when permission isn’t necessary to be cleared; and how to reference the content you’ve used. Fair Use Guide–In some cases, I don’t actually need to ask for permission to use others’ content? !